Declines in the gold price after the Federal Reserve halted its economic stimulus program and struck an upbeat tone on the state of the US economy continued into Thursday. In lunchtime trade on the Comex division of the New York Mercantile Exchange gold for December delivery was changing hands for $1,198.70 an ounce, down more than $26 or 2.1% from Wednesday's close. In morning trade gold touched a low of $1,195.50, the lowest since October 3 and only the second time below $1,200 this year. Selling was heavy with more than 17.6m ounces traded. Given the fact that hedge fund and large investors have cut back on bearish bets over the last two weeks, the possibility of a short covering rally is remote. That means more selling could be in the offing – next technical support is at $1,180 an ounce, a level the metal tested twice in 2013 before recovering. 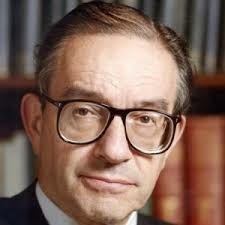 The Federal Reserve on Wednesday voted 9 to 1 to end the third round of its quantitative easing program known as QE3. 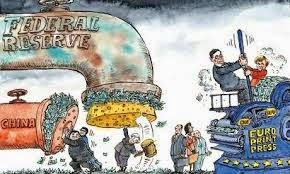 The bank also signaled a much more hawkish stance towards interest rates explicitly stating that rates could be hiked earlier than "currently anticipated" should the economy improve at a faster rate. The Fed hasn't raised rates, which have been hovering near zero since QE1, since 2006. 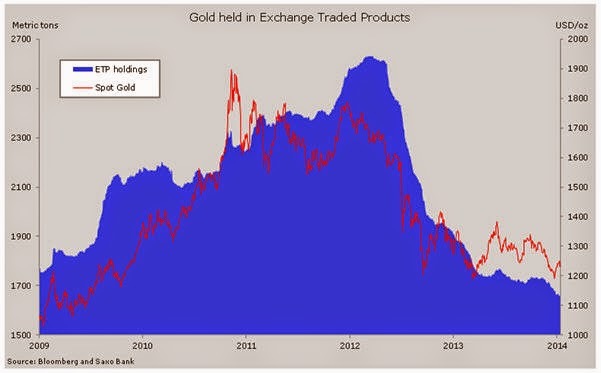 Higher interest rates and bond yields raises the opportunity costs of holding gold as the metal is not income producing. 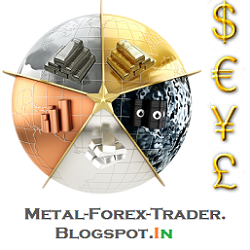 Sister metal silver fared even worse on the day with December futures dropping to a day low of $16.33, down 5% on the day and at levels last seen in February 2010. The low for the volatile metal that year was $14.64 an ounce. 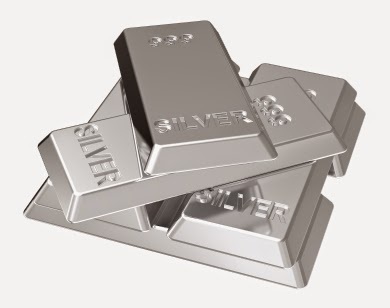 The ratio between gold and silver has jumped higher reaching a five-and-a-half year high above 73, which could mean that silver is oversold or that the gold price has further to fall. According to the estimations, about 84,000 tonnes of copper supply would disappear by the initiation of the strikes in the copper mines, by the end of the year 2014. 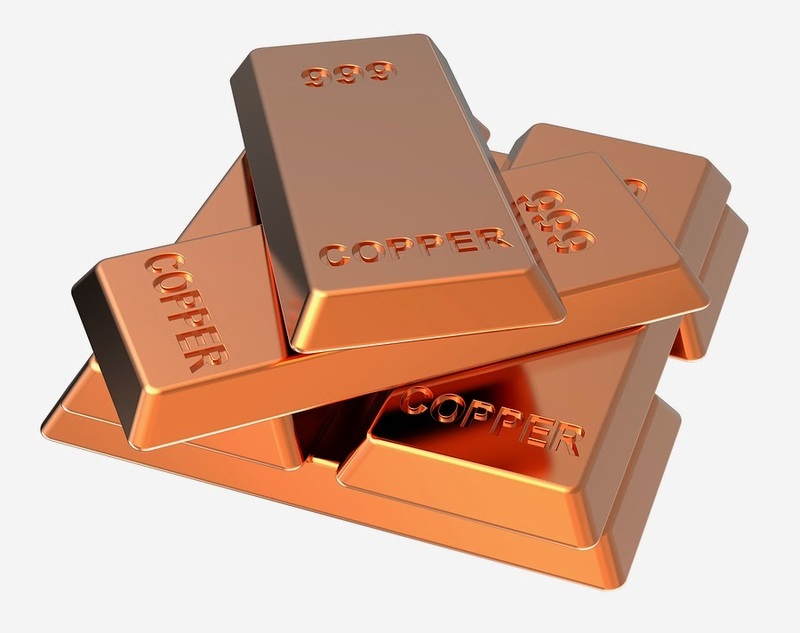 According to David Charles, a mining analyst at Dundee Capital Markets, stated that even though the price of copper is staying low at 9 percent decline at the LME, the surplus will be long eliminated by the end of the year 2014, as the supply deficit, yet has to be materialized. 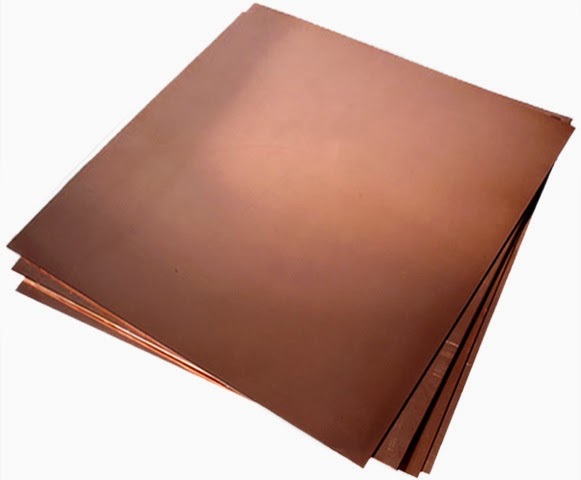 A rise in the price of copper is to be extended to the year, 2015, as the demand for copper in the construction industry, household sector as well as in the power sector of China remains to be strong. At the beginning of the year 2014, according to the analysts’ forecast, there ought to have a supply surplus of about 600,000 tonnes of copper, but if the strikes held by the workers in the mine work out well, the surplus will turn out to be a small one of about 70,000 tonnes, or hopefully there would be a deficit in the global market. (Reuters) - Copper prices hit a two-week high on Tuesday as the outlook for rising supply was tarnished by looming strikes at two key mines while expectations of higher demand from top consumer China helped reinforce optimism. 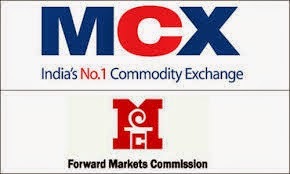 (LME) ended at $6,795 a tonne, up 0.97 percent, having earlier touched a two-week high of $6,797.75 a tonne. Workers at Freeport-McMoRan's Indonesian copper mine will hold a one-month strike from next week and those at Peru's biggest copper mine, Antamina, plan to start an indefinite strike from Nov. 10. In a quarterly profit release, Freeport said a large percentage of Grasberg open pit operators had not reported for scheduled shifts, resulting in lower production from its open pit copper mine in October. It also reported a 32 percent drop in quarterly profit, hurt by lower metals prices. Analysts polled by Reuters expect the copper market to show a surplus this year and to post an even bigger surplus in 2015, but that view is threatened by events such as strikes and delays. "There's a bit of stability led by the copper supply disruptions and we're getting a bit of a bounce in prices," said Robin Bhar, an analyst at Societe Generale. "But we are still expecting more downside to come for copper rather than upside. The wall of supply is still coming. That has not been delayed or cancelled," he said. The metal used in power and construction is down more than 8 percent this year, and has gained just 1.3 percent this month, partly on expectations of a big surplus forming in the market. "We hear what the producers are saying in terms of what they're planning to put out, but it's the unforeseen factors such as industrial action that create (uncertainty), as we have seen in the past few days, and that's providing a little bit of support," said analyst James Glenn of NAB in Melbourne. "Plus the physical market at the moment is still quite tight so any signs of better demand is going to see the price go up." On the demand side, Chinese firms showed slight improvement with industrial profits in September up 0.4 percent from a year earlier, reversing a 0.6 percent annual decline in August, data showed on Tuesday. In other metals, nickel surged 5.25 percent to end at $15,550 - its highest in about a week, as investors reassessed the buy-side case given key supplier Indonesia's ore export ban. Nickel has posted losses for the last seven weeks running as Philippines supply to China rose, partly filling the gap caused by an Indonesia ore export ban that sent price up by some 40 percent in the first half. 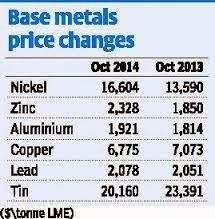 Tin ended up 1.66 percent at $19,875 a tonne and zinc closed up 0.04 percent at $2,256 a tonne. Aluminium ended up 0.71 percent at $1,998 a tonne, and lead closed up 0.94 percent at $2,033 a tonne. Workers at Freeport-McMoRan Inc's giant Indonesian copper mine plan to go on strike for a month from next week, a union official said on Monday, after the company failed to make changes to local management following a fatal accident. Earlier this month, hundreds of angry protesters blocked access for two days to the open-pit area of the Grasberg complex, where production was temporarily suspended following the death of four workers on Sept. 27. The remote copper mine is one of the largest in the world and any prolonged disruption could support prices of the metal , which have fallen almost 10 percent this year. Three Freeport unions have agreed to take strike action from Nov. 6 until Dec. 6 to pursue demands including the appointment of new managers, Albar Sabang, a senior official at a Freeport union, told Reuters. Sabang's union has about 9,100 members. "The purpose of the strike is of course to stop production so there will be pressure for the Freeport Indonesia management to answer to our demands," Sabang told Reuters by text message. Freeport, which employs around 24,000 workers, declined to comment on Monday. About three-quarters of the workforce belong to a union. Relations between Freeport and the unions have been strained in recent years following a three-month strike in late 2011 as well as a series of minor disputes. In addition to the four workers killed in the collision involving a truck last month, 28 people were killed after a tunnel collapsed in May last year. Indonesia's mine ministry investigated the Sept. 27 accident and asked the company to introduce changes to safety procedures and policies before allowing open-pit mining to resume. Three weeks ago, the Freeport Indonesia union warned of fresh protests, blockades or strike action if workers' safety concerns and other demands were ignored. A union letter detailing the planned strike was sent on Oct. 23 to Freeport's local CEO, Rozik Soetjipto, the chief executive and chairman of the Arizona-based firm and various government officials. Under normal conditions, the Grasberg open pit produces around 140,000 tonnes of copper ore per day and the underground mine about 80,000 tonnes. Although the copper market is broadly expected to be in surplus next year, one trader said, an extended strike could tighten regional concentrate supply, with the market not far from balanced at the moment. Freeport's concentrate is low in impurities. Freeport, one of the biggest tax payers in Southeast Asia's largest economy, only recently resolved a tax dispute with the government that halted exports for months and frayed relations. 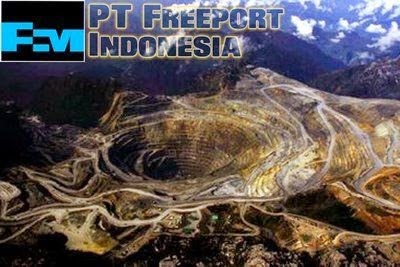 Should the Freeport strike go ahead as planned, it may be the first big test for Indonesia's newly appointed energy and mineral resources minister, Sudirman Said. By the end of the week on Friday, the nickel price hits seven month low to 14,980 dollars per tonne, and at the same time the stocks on the London Metal exchange topped the roof with 378,132 tonnes. At the beginning of the year, the metal, was expected to be the rising metal among other base metals in the year 2014, but the hopes have all been shattered and the supply has risen about 9 percent ahead of the coming year. 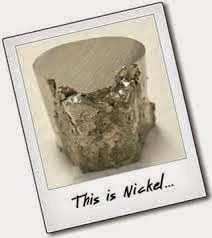 The commodity analysts at, Common wealth Bank, Vivek Dhar and Lanchlan Shaw, stated that, there is a high chance of nickel surplus in the year 2015-2016. In the beginning of this year, Indonesia, the main producer as well as the exporter of high grade nickel ore, and one of the vital exporter of nickel to the steel industry of China, banned the exports of unprocessed nickel to the world.at that time, China advanced its procedure by importing nickel from Philippines, the under developed mines Indonesia, and also imported ferro-nickel from other parts of the world to cover up the deficiency caused by the decline in the nickel imports from Indonesia. Many stainless steel producers in China, had to change the amount of nickel in their final product. “There’s no reason for anyone to be holding 70% of the stocks of the commodity,”said Jessica Fung, head of Commodities Metals at BMO Capital Markets. China's net gold imports from Hong Kong hit the highest in five months in September as the world's biggest consumer stocked up ahead of its National Day holiday. Net imports from Hong Kong to the mainland 61.7 metric tons last month, the most since April,according to Bloomberg. Total gold imports from Hong Kong totalled 91.745 tonnes, as the nation observed its annual holiday the first week of October, a time when millions of people travel and spend more than usual. It also marks a pick-up in weddings, boosting demand for gold jewellery. 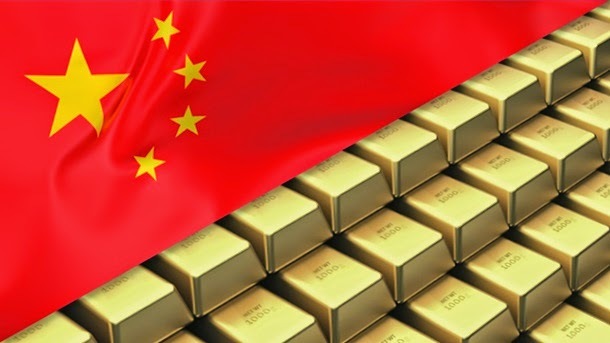 When gold entered a bear market, Chinese citizens began buying physical gold in droves, pushing the nation past India as the world's largest gold consumer in 2013. But then, an anti-corruption drive by President Xi Jinping prompted fewer buyers to purchase gold bars, coins and jewellery, and imports fell. Many gold market observers do not believe the Hong Kong import numbers, and hold to the view that a lot of gold gets into China unreported. Officially, all gold exported to China moves through Hong Kong, although the country recently started allowing direct imports via Beijing. Sources say the move is a way to keep China's imports under the radar as it seeks to hoard gold to diversify away from U.S. Treasuries. The country's gold reserves are officially put at 1,054 tonnes — a number officials haven't updated since 2009. Gold makes up little more than 1% of the country's $3.6 trillion in reserves compared to more than 70% for the United States, which holds 8,166 tonnes of gold in vaults. Whoischick.com points out the fact that we can choose to be in two areas in our everyday life: the comfort zone or discomfort zone. 1. 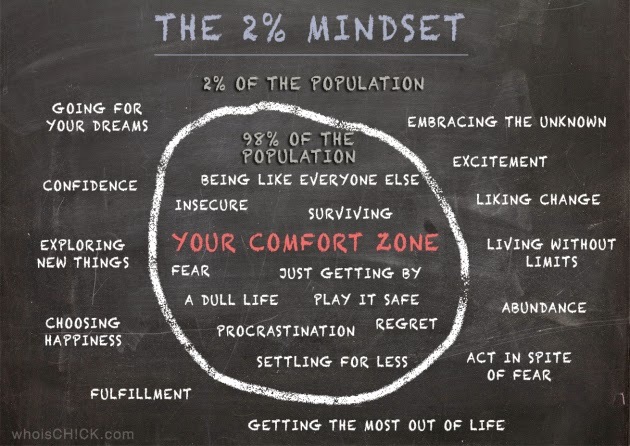 Comfort zone: 98% of us are being like everyone else. We live with insecurity, fear and regret. We procrastinate, play it safe, settle for less and lead a dull life. Most of the time we are just surviving or getting by. 2. Discomfort zone: Only 2% of the population are living their dreams. They have chosen happiness and living without limits. They have confidence, dare to explore new things, embrace the unknown and act in spite of fear. They are looking for changes, excitement, abundance and fulfillment. They believe in getting the most out of life. What about you? Are you living the life you really like? Do you have the guts to live the life you always want? Everybody wants the freedom to do the things they like. But the moment you stop tolling all day in the office, how do you pay the bills at the end of the month? Who is going to support your family? How can you save for your retirement? You can choose to stay in your comfort zone. But a comfort zone is not necessarily a safe zone. Company downsizing and retrenchment sometimes have nothing to do with whether you have met your KPIs or sales quota, how much past contributions you have made, or how serious your OGIM symptoms are. Facing regular restructuring announcements in my corporate life, it was imminent for me to have a contingency plan. My Plan B was buying some good properties that could continuously generate passive income for me. If one day my name was in that batch of employees to let go, my tenants would help to pay my bills. I also started researching about possible ways to achieve financial freedom. It is not about not having to work at all, but more about the freedom of choosing to do the type of work I enjoy, the liberty to spend my time the way I prefer, etc. Throughout the years, I have seen many people who try different ways to realize their dream of being financially free. Some work while some flop. 1. Following any get-rich-quick program that guarantees to make you a millionaire but sounds too good to be true. 2. Joining any high risk ponzi investment scheme that promises high return in a short period of time. No such scheme can stand the test of time in our past history. 3. Winning the lottery, striking the jackpot or reaping a windfall at the casino that you will quickly spend or lose them all and go back to square one in no time. 4. Receiving a sudden big inheritance or donation with no prior training in personal financial management or investment. Think the woman who spent her $1 million donation after the horrible accident of her husband, all in barely one year’s time. Below are three proven methods to achieve financial freedom that I have found to be sustainable in the long term. 1. Investing in good stocks or good properties that becomes a stable stream of income in terms of dividends or rental return, and promises a sizable capital gain when cashing out one day. 2. Building a solid and sustainable business that offers a reliable source of income in the long term. 3. Having a wealthy spouse who has high earning power or the financial means to support your lifestyle, and is generous to you (note: to you only). It is good to be able to achieve one of the above. But it is best to attain all of them if you know what I mean! Metals and mining commodities – including the base and bulk commodities, steel and cement – are highly exposed to a slowdown in the Chinese property, with over 40% of Chinese demand for cement and copper in particular consumed in the construction sector. The recent slowdown in Chinese property sales, prices and early-cycle new starts has most impacted physical demand for (and sentiment towards) commodities exposed to the earlier stages of China’s construction cycle – steel and iron ore – which have underperformed commodities more exposed to latter stages of the construction cycle, such as copper.However, as the recent slowdown in new starts flows through to late-cycle, copper-intensive construction completions, we expect copper to come under further pressure. The property development timeline for a typical Chinese building (such as an apartment building) from new start to property completion takes around 18 to 24 months. An “early-cycle” construction phase can be characterized as a period with strong new starts, relatively weak completions, and falling inventories (associated with higher sales). Conversely, “late-cycle” construction phases are typically associated with weak new starts, relatively strong completions, and rising/and or high property inventories (associated with weak sales). The intensity of basic material consumption varies significantly across these phases: consumption of steel and steel-making raw material (such as iron ore and coking coal) tends to be strongest in the earlier stages, while copper tends to be consumed in the later stages. Specifically, as much as c.61% of Chinese and c.25% of global copper consumption is related to Chinese housing and property activity. Of the c.61% of Chinese consumption that may be related to property, up to c.45-50% is directly associated with project completion (plumbing, wiring for lighting, local power infrastructure, telecom, etc. ), and c.12% is associated with the actual property sale, when the property is fitted with copper-intensive consumer appliances and/or tiling intensive in mineral sands. The strong link between completions and copper demand owes to the fact that internal and external copper wiring (for connection to the grid) tends to be installed around project completion. There is strong empirical evidence for the relationship between completions strength and copper prices: using completions as the primary indicator of China’s copper demand, together with ex-China demand data, explains the vast bulk of variation in copper prices over the past decade. In 2012/2013, the Chinese construction sector transitioned from an early-cycle construction phase to a late-cycle one, as completions surged following a wave of new stimulus-related construction post the Global Financial Crisis. Since then, the cycles have been relatively muted, with both new starts and completions growing sub-trend, for the most part. More specifically, the observed weak growth in new starts over the past two years has bearish medium-term implications for late-cycle copper-intensive construction completions. In our view, this weakness has not been priced in, as it has not flowed through to the physical market via higher inventories, and therefore supports our bearish copper view over the next year ($6,600/t and $6,200/t at 6- and 12-month horizons). In the past three years, China has increasingly employed complex commodity financing deals to import relatively low-cost US dollar funding, which in some cases has likely been used to fund property development. While the profitability of these financing deals has already fallen owing to lower Chinese interest rates, higher rates outside of China, and – in the case of copper – persistent LME backwardation, we expect a further gradual unwind in such deals over the course of 2015 as China opens up its capital account gradually over time. This broader reduction in financing deals, combined with an expected rise in US interest rates, could result in higher costs of funding for Chinese property developers, potentially further slowing property starts and property-related commodity consumption. At the same time, a further reduction in deals would reduce demand for copper imports into bonded warehouses in China (a key component of the financing transactions), potentially raising inventory visibility outside of China. This scenario would be a double whammy for copper, which is both highly exposed to the property sector and supported by low visible exchange stocks.